The real estate business like any other business requires vigorous marketing to create new customer leads while promoting and marketing properties to new clients. Real estate signage and print marketing is an affordable yet highly effective alternative to expensive radio and TV ads. We’re outlining some of the benefits of real estate signage as well as some signage and printing ideas for real estate agents to boost their marketing efforts. There are several benefits of using real estate signage that make it a smart choice. Real estate signs do not cost much and have a significant return on investment. According to study estimates, on-site real estate signage costs only two cents per one thousand views, which is equivalent to 24 full-page newspaper ads per year. While radio and TV advertising is still a good option, real estate signage offers more value for your money. You don’t need a dedicated marketing team or a huge budget to benefit from real estate promotional products. Real estate signs are made from safe and durable materials such as corrugated plastic or aluminum, which means that they can withstand a wide range of elements, ensuring that you can advertise your business no matter the weather. Corrugated plastic yard signs are the most effective real estate signs, with a glossy finish that makes them completely waterproof. These signs are able to endure extreme weather conditions, including scrapes, bumps, or any general wear and tear resulting from being outdoors. Aluminum signs are also a popular choice for real estate agents since the signs do not rust and are also good for attracting the attention of potential clients. These signs are also generally cheaper than most real estate signs. Real estate signs are able to capture the attention of new clients. Recent studies suggest that at least 9 percent of potential home buyers purchased from a real estate sign. Buyers are more likely to learn about an available home from a real estate sign than through word-of-mouth from friends and family or print ads alone. Despite new technologies such as websites, mobile apps, and social media, real estate signage is still an effective promotional tool. Real estate signs can be designed and customized to suit one’s promotional needs. 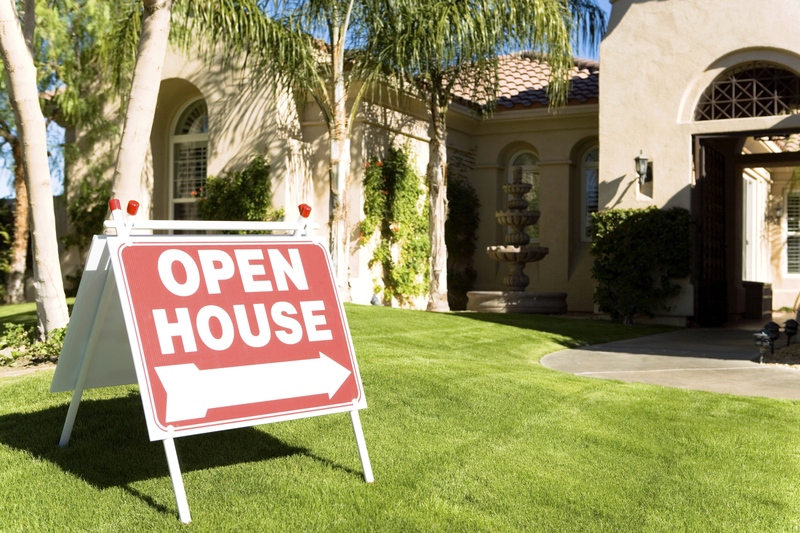 Real estate signs can be used to advertise new property listings or open houses. They can also be used to create brand awareness. For instance, yard signs usually include the contact information of the agent selling the property. This has made real estate signs an easy way to generate leads for new clients. Print marketing is also an effective way to help real estate agents become recognized as experts in their local area. Door hangers, business cards, and yard signs are examples of printed pieces that are ideal for promoting the real estate business. Printed pieces should create a consistent and unified brand. For example, yard signs should match your website and business card. Door hangers and posters should match your yard signs. A wide range of amazing, inexpensive printed products is available to help realtors promote their business. When choosing print marketing for your real estate business, invest in high-quality printing to give potential home buyers the best first impression. In addition to traditional business cards, other printed promotional tools that are also effective in promoting your real estate business include brochures, car magnets, and calendars. Promotional items are a simple tool for generating leads. Print marketing and real estate signage are a worthwhile investment. They are not only cost-effective, but they can also sell homes faster. When you are ready to get started, give Full Sail Graphics a call at 714-274-6706 or contact us for a free quote today. We’d love to create the perfect printing and signage for your real estate business.